Where are all the DC hipsters hiding? Today, Lauren and I went to the Crafty Bastards craft show put on by the Washington City Paper. 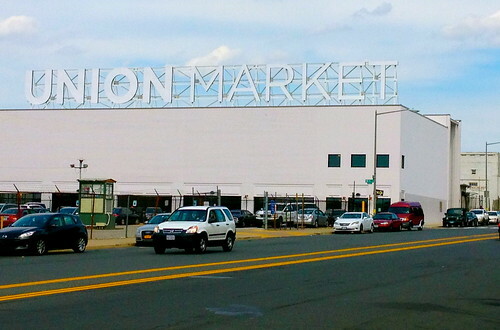 This year it was being hosted at Union Market in DC’s up in coming NoMa neighborhood. There were 2 massive tents with booths occupied by handmade creators from up and down the east coast. (I wonder how many were from DC.) You could get everything from jewelry to bath products to tshirts to leather bags. Everything is made in small batches by hand. It’s like an offline version of Umba Box. And… It was packed. Not just crowded but annoyingly packed. It was hard to get up to some of the booths because there were so many people. AND… everywhere you looked there was plaid and a beard. It made me wonder. Where are all these hipsters hiding? When you think of DC, you think of the government and people in suits. When you think of creativity, you think of Brooklyn or Portland. Does DC have a burgeoning creative class that’s just about to explode? 6 years ago a handful of folks felt a hunger for a technology & startup community and look what happened.